Iran Is Open For Business. What Does This Mean for the Global Economy? The country could put up to a million barrels of oil a day on the market. With the International Atomic Energy Agency’s certification this weekend that Iran has lived up to its side of the bargain negotiated last summer with the United Nations Security Council, the country is poised to return to the international community after years of severe sanctions and diplomatic isolation. Iran’s economic growth could spurt. What will this development mean for the world economy? Iran is a country of roughly 78 million (slightly smaller than Germany) with a nominal gross domestic product nearly as large as Poland’s. It is therefore a substantial country with significant potential both as a market and as a manufacturing center. This opportunity is not lost on European CEOs, many of whom have visited Tehran in the past year in anticipation of new deals. Even the United States is hoping to get into the act. Late last week, President Obama authorized the secretary of state to permit the sale of civilian aircraft to Iran. 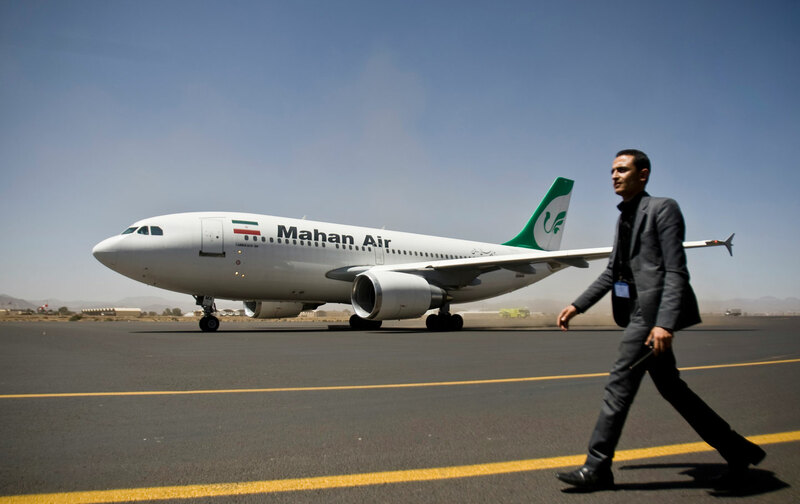 Tehran, smarting from US hostility and sanctions, turned immediately instead to the European-built Airbus, preparing to initiate an order for 114 of the aircraft in a deal valued at $10 billion. During the sanction years, Iran’s fleet aged, a situation that endangers civilian passengers. At a time when China’s slowdown is weighing on global exports, Iran is already going on a buying spree. France’s Renault had been manufacturing automobiles in Iran but was forced out by US-led sanctions. Now, the company is considering buying into the country’s state-owned automobile manufacturing concern. CEO Carlos Ghosn estimates that Iran has an annual market for 700,000-800,000 automobiles, which could be increased to 1.5 million in the near future. Iran’s reintegration into the international market is viewed as a threat by a few countries, such as Israel and Saudi Arabia, both of which tried to derail the UN Security Council deal with Iran on reconfiguring its civilian nuclear-enrichment program so as to forestall its becoming “dual use,” or deployed for weapons production. Despite the predictions of critics in these countries, Iran has faithfully met its obligations in the deal. Saudi Arabia has broken off relations with Iran, and encouraged its allies, such as Sudan and Bahrain, to do so as well, but these diplomatic moves will likely have no discernible effect on Iran. While Israel’s vendetta with Iran may continue to be played out in the US Congress, where the Israel lobbies remain influential despite their humiliating defeat on the Iran deal last summer, the rest of the world is headed to Tehran with bids and contracts. Attempts of the US media and right-wing politicians to take advantage of minor incidents like the brief Iranian detention of 10 US sailors last week for an incursion into Iranian territorial waters have fallen flat. In a world where the primary security threat is Daesh (ISIS, ISIL), Iran’s support of Lebanon’s Hezbollah and of Iraqi Shiite militias, the most effective forces fighting the so-called “caliphate,” makes it look more like a de facto US ally than like a supporter of what Washington calls terrorism. It is not true, as GOP candidates for president such as Ted Cruz keep alleging, that the deal “gives” Iran $150 billion. It ceases to sequester Iranian funds, which were always Iranian funds. The actual amount of Iranian money released back to Iran when the accounts are unfrozen is likely closer to $50 billion. Quite apart from sequestered funds, given the steep fall in oil prices, the benefit to Iran of the end of sanctions is worth far less than was originally envisaged. It is true, however, that there is a lot of money to be made in Iran, even if American businessmen, for some odd reason, do not want to be the ones who make it. The integration of Iran into the global economy may strengthen the country's moderates. Iran’s enemies often allege that a growing economy there will enable the regime of the ayatollahs to make more mischief in the region. It has to at least be considered, however, that the greater integration of Iran into the global economy may instead strengthen the country’s moderates and give the rest of the world more leverage on Tehran. Iran is more important as a market for international commodities and as a lucrative investment field than is usually realized. But the big news is on the energy front. Given the slowdown in China and the deep recession in Brazil, the world was already likely to be using less petroleum in coming years. Petroleum for the most part is used as fuel for transportation, and relatively little is used for generating electricity (Saudi Arabia is an exception here). Less trucking of goods and fewer commuters to jobs translate into lower demand. The likelihood that Iran will put hundreds of thousands of barrels a day on the market with the end of sanctions has driven petroleum prices down to levels not seen in over a decade. The oil glut is exacerbated by the refusal of Saudi Arabia to reduce production, likely in hopes that hydraulic fracturing of shale oil cannot survive such low prices. Riyadh thus stands to regain market share from the frackers. While some shale-oil operations might be able to survive where they have already sunk their fixed costs, new investment in that sector is drying up. That is, for decades Saudi Arabia sought a sweet spot of about $25 a barrel for petroleum, low enough to discourage alternatives and high enough to allow economic growth in the kingdom, with its relatively small population. While Riyadh’s elites accommodated the much higher prices of recent years, they seem to be happy enough with a price that enhances the cartel effect of the Organization of Petroleum Exporting Countries and drives out non-traditional competitors. While the Saudi government will have to readjust its budget priorities, it has vast currency reserves and seems to be turning to financial investment and away from oil as the kingdom’s major future source of income. While low oil prices may be bad for some institutional investors with large positions in companies such as ExxonMobil, for consuming and manufacturing nations they are largely good news. Japan, South Korea, Turkey, Egypt, India, and China will all benefit from Iran’s return as a major exporter. Some US industries, such as the airlines, will also see their profit margins grow. Manufacturers and retailers will benefit from lower trucking costs. For environmentalists it is worrisome that these low prices for gasoline may hurt the already anemic market for electric cars in the United States. New products such as Chevrolet’s Bolt (expected fall 2016), however, may remain competitive, especially for consumers who have solar panels on their roofs and so have extremely inexpensive electricity. Not only can Iran put up to a million barrels a day in new petroleum on the market, but it has vast potential in the area of natural gas. The technology of exporting liquefied natural gas in canisters on container ships rather than using overland pipelines passed Iran by because companies such as Shell and Total SA, experts in this technique, were scared off by US and UN sanctions. Now, those companies, as well as Russia’s Gazprom, are likely to develop Iranian LNG. Lower natural gas prices will hurt competitors such as Qatar, Canada, and Russia. They will be a boon to consumers and to businesses in countries such as Germany and Turkey. The implications of new Iranian gas production for carbon production are difficult to assess and depend on how carefully the natural gas is extracted and on the methane emissions associated with the process. If it is produced cleanly, the new, inexpensive natural gas might well reduce global emissions by driving the last of the world’s coal plants out of business. Coal is nearly twice as dirty as natural gas. Wind and solar are falling in price and gaining in efficiency so fast that it will not be long before they replace even inexpensive hydrocarbons just on cost alone, not to mention environmental concerns. Inexpensive gas, some have argued, could be a bridge to an age of renewables, say a decade away, that vastly reduces dangerous coal use in the meantime in countries like China, the United States, India, Australia, and South Africa. Ironically, since Iran will want to preserve its hydrocarbons for export, it could well expand its own wind and solar electricity generation sectors. Denmark is queuing up to provide the wind turbines. Heavy smog in Tehran is also becoming a political issue in the capital, and a turn to renewables would help clean up the air and gain votes for President Hassan Rouhani’s reformers. The economic winners here are thus manufacturers of big-ticket items as well as consumer goods and electronics, for which there is pent-up demand in Iran. Benefits will also accrue to businesses and consumers dependent on gasoline for transportation, and natural gas for electricity and heating. Because of the hostility of the Republican-held US Congress (and continued restrictions on dollar transactions), Americans will probably share much less in the Iranian bonanza than will Europe, Russia, Japan, and China. But even most of the United States (outside hydrocarbon-producing states such as North Dakota and Texas) will benefit from the low gasoline and natural gas prices of the next few years.